One who illuminated the corrupt world with his glory, may the follower of Ganapthya Marg, Shri Moraya Gosavi be pleased. He is residing permanently on the bank of river Pavana. May he protect those who follow the righteous path. I bow to Shri Moraya Gosavi. 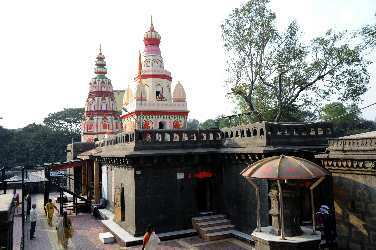 The Samadhi temple of Shri Moraya Gosavi is situated on the bank of river Pavana. Here Shri Moraya Gosavi took Sanjeevan Samadhi. This is a jaagrut (live) temple. Maharaj took Samadhi in year 1561 (Shake 1483); on the 6th day of Margashirisha month (Margashirsha Vadya Shashthi) when he was 186 years old. After he took the Samadhi, his son Chintamani built a temple of Ganesha (with Siddhi, Buddhi), above the cave. It was constructed in such a way that Shri Ganesha’s idol would be right above the head of Shri Moraya Gosavi. This Samadhi sthana is jaagrut (live). The construction of the temple above the Samadhi started on the (Kartkik Shudha Chaturthi) 4th day of Kartik month, Shaka year 1580 and finished on the (Ashadha Shudha Chaturthi) 4th day of Ashadha month, the following year. According to the English calendar, from 27th October 1658 to 13th June 1659. The temple is built in stone. After entering into the temple, there is a big sabha mandap (hall). Walking through the hall, there is Samadhi of Shri Moraya Gosavi. 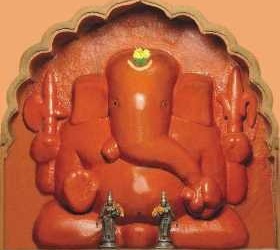 There is an idol of Dwibhuj Ganapati (Two handed) along with Siddhi and Buddhi above the Samadhi, which has been installed by Shri Chintamani Maharaj. With the constant application of Sindoor (vermilion) this idol increased in size. In the year 1956, the outer cover fell off. Inside a fine idol made of black stone was found. 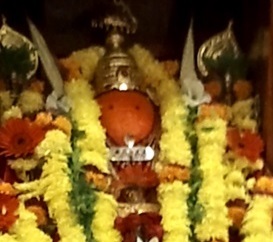 In the outer room of the temple, there is a prominenet idol of Arjuneshwara. It is said that there a way that leads to the Samadhi. The Samadhi of Chintamani Maharaj is situated in front of the Samadhi of Shri Moraya Gosavi in the cave. The place where the final rites were offered to him still has the idol of Dwibhuj Ganesha(Two handed). In the year 1982, the quoted layer of idol fell down. Hence Idol was reinstalled with "Pranprathishta" process after creating a new quoting layer around idol. This temple of Chintamani Maharaj is modeled in such a way that devotee can see the Ganapati idol which is above the Samadhi of Shri Moraya Gosavi. There are two horizontal idols on the Samadhi of Shri Narayan Maharaj. There are many Samadhis on the bank of Pavana river, like the samadhis of Saptapurushas, Samadhi is of Dharanidhar Maharaj, Kaka Maharaj, Digambar Maharaj and Kamalakar Maharaj. There is a Vrindavan of Moroba Maharaj on the upper part of above mentioned area. Samadhis of Shri Moryaya Gasavi’s guru Nayanbharathi and Vighneshwar Maharaj (Aundhkar) are situated in "Deool Mala" area of temple. All the temples are constructed in stone. On the West of the temple flows the Pavana river. There is road in the East, a garden in the North and a large ground in the South. Festivals like Sanjeevan Samadhi Mahotsav music concerts and distribution of Mahaprasada are organized here. Many people savor the mahaprasada here. Mayureshwara of Morgaon blessed Shri Moraya Gosavi saying “Your following 7 generations will have an ansha (portion) of me.” The samadhis of all these Sapta Purushas are present near the Samadhi of Shri Moraya Gosavi. After taking the darshan of the Samadhi of Shri Moraya Gosavi, towards right there’s Mangalmurthi Wada. This wada has the idol of Mangalmurthi which Shri Moraya Gosavi got in the Karhe river in Morgaon. Adjoining this idol; is the idol of Kothareshwara, another Ganesh idol facing towards North. There is a Shami tree near the idol. There is a large sabha mandapa (hall) in front of the temple, which is built of wood. It has glass lamps and chandeliers. Large pictures of the Astavinayakas are erected here. All major festivals are celebrated in this hall. After Shri Moraya Gosavi, the Maharajas (in succession) resided in this wada. This wada is very spacious. 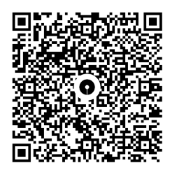 It has been visited by Shivaji Maharaj, this proves its antiquity. Chintamani Maharaj built some sections in this wada, few other portions were built by Nana Phadanvis and Haripant Phadke. In the wada, the office of Chinchwad Devasthan Trust’s is situated towards left. The facilities like education, food and boarding for the students of the Vedpathshala are provided in the wada. Adjoining the idol of Mangalamurthi, is the idol of Kothareshwara, another Ganesh idol facing towards North. This idol is situated behind Mangalamurthi’s idol. Shri Kothareshwara is worshipped daily, even when the Mangalmurti idol is out for the yatra. The reason behind its name Kothareshwara is - Shri Moraya Gosavi would install the idol of Mangalmurti every year and immerse at this place. The idol of Kothareshwara was installed on (Shravan Shudha 6, Shake 1772) on the 6th day of Sravana month shaka 1772 . On the 6th day of Sravana every year, the festival of Kothareshwara begins. This idol is worshiped till the main idol returns from the yatra. Annachatra (serving food) is organized.